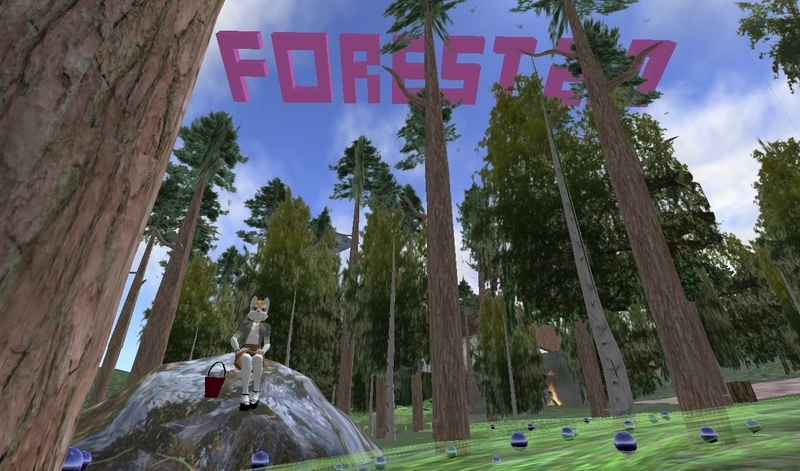 A Second Life Project about Globalized Boreal Forest in The Age of Social Media. The place that resembles a Nordic forest is hosted by a group of avatars who organize a variety of events from intimate bonfire discussions to forest parties. These avatars are also writing on a blog about themes related to the project. By creating a virtual forest in a globally accessible online environment Hirvitalo aims to bring in focus the remote wilderness areas’ dependency on globalized world and media. While biodiversity of world’s forests has diminished our media has become more diverse. Blogs, video services and other social media tools have begun to compete with traditional media. Our new ways of communicating about the forest are joined with how we interact with the forest. If we want more ecologically sustainable relationships with forests what kind of communication and images should we choose? In the opening we will show you the place around and discuss about the future activities in the site – especially during the next two months when this project is showcased in Inter-Cool 3.0 exhibition in Dortmund U.